Happy Monday! 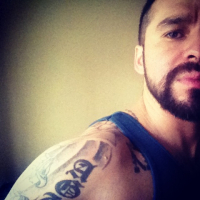 This week we continue shining the spotlight on another amazing muxer from the Midwest. (You can never have too much awesomeness!) 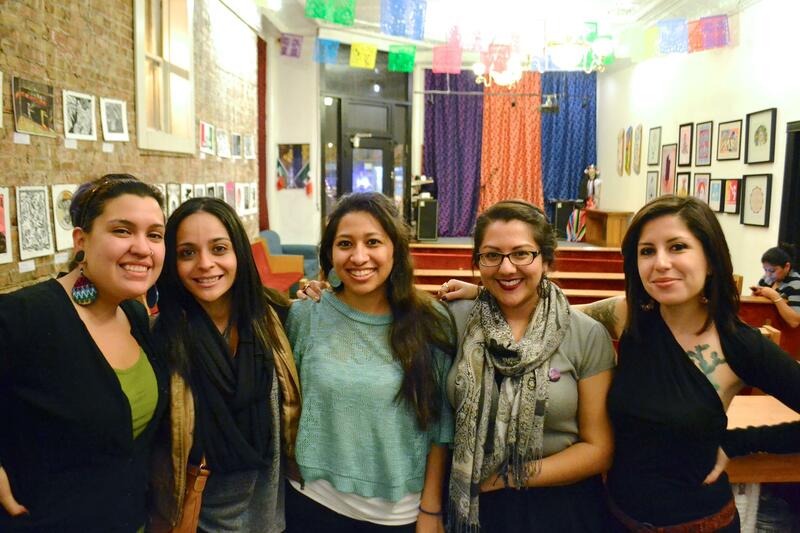 Today we interview Diana Alvarado, who worked together with many more wonderful womyn to fundraise for us in Chicago. Check out the interview below! 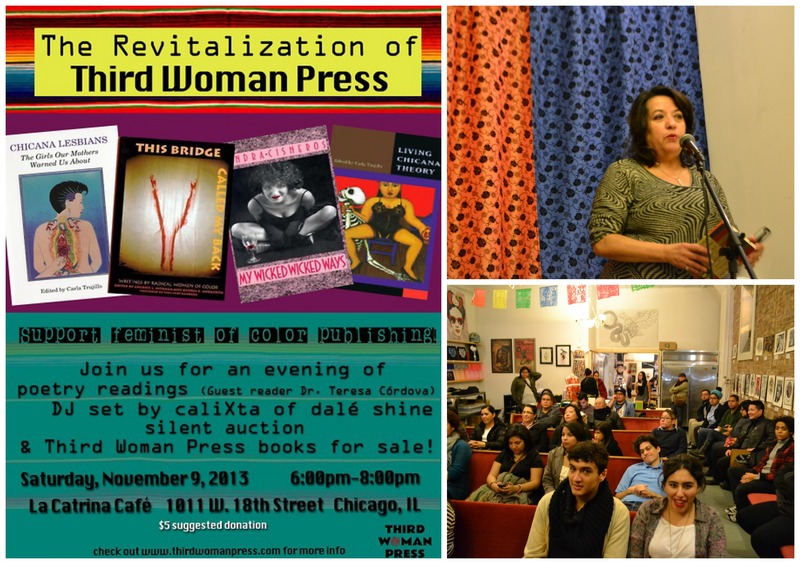 Third Woman Press Collective (TWPC): Hey there, Diana! Thanks for taking time out to chat with us. Can we start with where you’re currently located … geographically, that is? 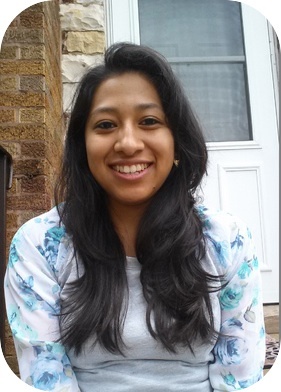 Diana Alvarado (DA): I was born and raised on the Northwest side of Chicago, in a neighborhood (a lot of Chicagoan’s aren’t familiar with) called Belmont-Craigin. It’s a working class neighborhood primarily made up of brown immigrants that neighbors a large Polish immigrant community. Unfortunately, due to the violent consequences of gentrification, the make-up and culture of the neighborhood have and continue to drastically change. Currently, I am living in and loving the Southside of the city. TWPC: Yes, people of color are forever being displaced, but we’re glad you’ve found a home that suits you in such a big place. Can you tell us what keeps you busy? DA: I am extremely passionate about the work I do for a living. I currently work in partnerships with low-income bilingual parents and their children ages 0 to 3, along with pregnant moms to foster and share educational, healthy, and healing spaces throughout the Southside of the city. I wear many hats for my job, but early childhood education and being an advocate of mental health/self-care for the moms I work with is at the core of it all. Due to the lack of access to resources and institutional barriers embedded in the cycle of poverty, I am very intentional about the resources and materials I bring to their homes, and grateful to bear witness to the testimonies and truths the moms and families decide to share with me. TWPC: We salute you, muxer! That sounds like very rewarding work in the face of the burdens forced on low-income families throughout the country, due to institutionalized barriers and inadequate resources. Being someone already so dedicated to helping others, what influenced your decision to help fundraise for TWP? DA: For the healing words. 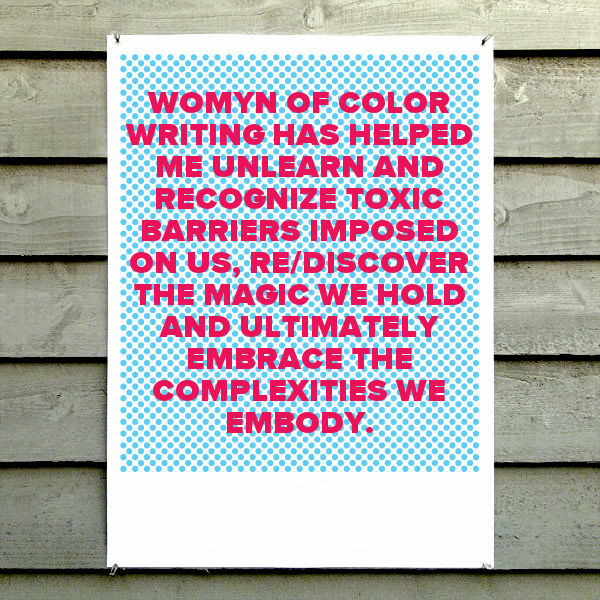 Womyn of color writing has helped me unlearn and recognize toxic barriers imposed on us, re/discover the magic we hold and ultimately embrace the complexities we embody. I could not pass up an opportunity to support this kind of medicine and was super excited that a queer womyn of color anthology was the goal in the minds of the Collective. We need more of our voices, stories, truths, and work on a multitude of levels and co-organizing this event con mi amiga, Jeanette Martin, was nothing but a labor of love. TWPC: Again, so many thanks to you from us! Much love coming at you from Third Woman Press (California, New Mexico, and Texas). Tell us, what was your favorite detail, performance, interaction, etc., from the fundraiser you organized? Left: A Flyer from the Chicago event. Top right: Profesora Teresa Córdova. Bottom right: some of the audience at the event. DA: The support from our community de muxeres in Chicago was heartfelt. Diana Galicia generously opened her doors to her beautiful La Catrina café in the Pilsen neighborhood. 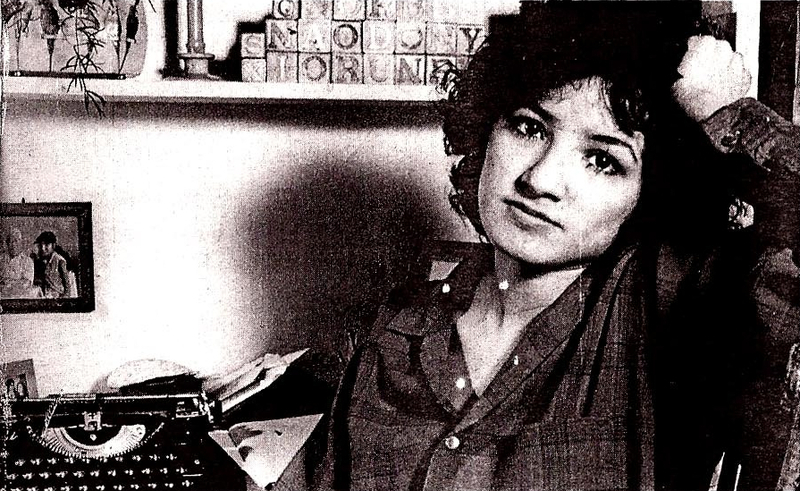 Diana Solís, a local artist who happened to photograph Sandra Cisneros for the first Third Woman Press Journal cover, donated a piece for our silent auction. Profesora Teresa Córdova, the author of the impactful essay “Power and Knowledge: Colonialism in the Academy,” published in the Third Woman Press anthology Living Chicana Theory, offered to speak at the end of the event and even left another engagement early to make it to the readings we had prior to her speaking. caliXta of Dale Shine DJ Collective provided some amazing music throughout the night. And last, but certainly not least, I am part of un Circulo de Muxeres here in Chicago, and we held craft making sessions to donate to the silent auction along with the services/goods donated from other local community collectives and individuals. Honestly, everything fell right into place smoothly and the night was memorable for us all, people kept asking us when our next event was! Haha! 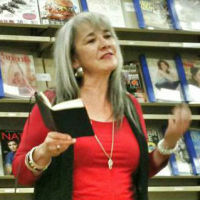 Sandra Cisneros, photographed by Diana Solís. 1981. TWPC: It’s amazing how intimately connected your event was to TWP! Seriously wish we could have been there, muxer! Do you feel there is any specific area, field, or place that really needs a feminist intervention right now? DA: The choices can be overwhelming, pero I feel that when it comes to Chicana feminism, Midwestern Chicanas get overwhelmingly erased from that identity consciousness and imagination. 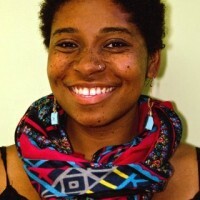 I think there is crucial overlap with the lived experiences con otras muxeres who identify as Chicana and/or feminist, pero I also feel that there are unique realities and knowledge we can offer to the complexity of what those identities encompass. 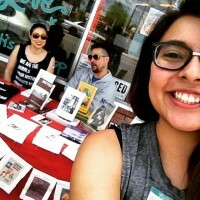 On that note, prior to my temporary move to Arizona post my undergrad, I had visions of working on a Chicana feminist circulo for young girls living in the Northside of the city to address and foster those kinds of conversations/spaces with goals of drawing from their embodied knowledge, honoring the organic intellectuals in their lives and exposing them to the legacies we have inherited from other womyn of color. Soy soñadora … what can I say. TWPC: Yes, as much good as we want to do as feminists, we always need to check ourselves and make sure everyone is being represented and recognized within our own circles. Shout out to all the Midwestern muxeres! Two of our Collective members (Sara and Daniela) spent some years in Indiana. Can you imagine una de Califas and the other from Tejas … in the snow?! So soñadora, what do you like to do for fun? DA: I love reading and writing. I’m intimately drawn to music, and dance is a form of prayer to me, especially cumbia. It just feeds my soul. Doing crafty things such as collaging, scrapbooking, Tumblring when I have time. I picked up running outside this summer and recently joined a running group where I live, and it’s been extremely liberating. TWPC: Very cool! We’re happy to hear you’re taking care of yourself! Are there any activities you do specifically to recharge after doing community organizing? 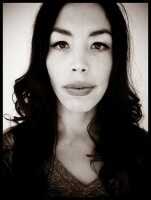 DA: Carving out space and time for myself to reflect and re/collect is a priority for me. Pero also, the Circulo de Muxeres I am part of! As I mentioned before, I am part of an amazing and inspiring collective de Chicanas whose paths crossed in the Midwest M.E.Ch.A. chapters and/or organizing during and after college. We are a mix of Chicanas de Chicago con muxeres who decided to settle here and make a second home. We alternate our spaces (inside/outside, north and south), break bread together (potluck style), and rotate facilitations that center around us checking in spiritually, mentally, and physically through storytelling, writing, and other mixed media outlets. It’s a constant process of falling apart and coming together for us that ultimately has brought us to processes of healing. We are currently in the works on having a weekend retreat con nuestras mamás, so we are super excited about that! We all come from different walks of life, pero super fortunate to walk this camino juntas, and would love to work through and provide that kind of system of support con nuestras mamás. TWPC: We’re loving it! That sounds like an amazing group of muxeres. We hope it’s healing for your mamás, too. Since you helped TWP raise money, what is one thing that excited you about the revitalization or what would you like to see TWP do overall? DA: More published works! Grassroots organizing can be draining, which is why I was so grateful that mi amiga, Brenda Rodriguez, reached out to ask if I would be down to organize an event here in Chicago. Sharing the labor that goes behind running an independent press is crucial to ensure it has a lasting presence. It would also be dope to have some children’s books published through the Press. We have so few publishing houses willing to have characters, names, and lived realities that reflect our communities. Pero one step at a time and ya que las tengo, thank you so much to the core collective for the important work you have and continue to do. TWPC: Aw! You’re right. We can’t do this alone, so thank YOU, Diana. We appreciate your kind words and all of the work you did and are still doing up there in Chicago. We’re sending you all of our love. We’d like to thank Diana Alvarado and Jeanette Martin, who co-organized the fundraiser, for their support of Third Woman Press. Feel free to share on social media and the rest of the interwebs to honor the work of young feminists of color!